Acceptance of pets shall be at the owners discretion. A 25% non-refundable deposit secures your booking. The balance must be paid 4 weeks prior to your arrival date. If you book inside the 4 weeks, payment must be made in full at the time of booking. Payment can be made by Bank Transfer, PayPal or Cheque via our secure payment portal. An electronic receipt will be provided. Our outstanding position on Perran Sands provides you with immediate access to all the site amenities and with Ocean Views just minutes away. Graded as 'Prestige' you will enjoy all the little extra touches to make your holiday experience even more special. Double french doors provide access onto the glorious & spacious veranda where you can enjoy a glass of wine whilst watching the world go by or simply keeping an eye on the kids. The decking also wraps around the side with a gate, making it a safe area for the younger ones and also your equally precious 'four legged' members of your family. All bed linen is provided within the rental price. With fully double glazed windows and central heating throughout, you are ensured of always being warm and cosy regardless of the time of year. 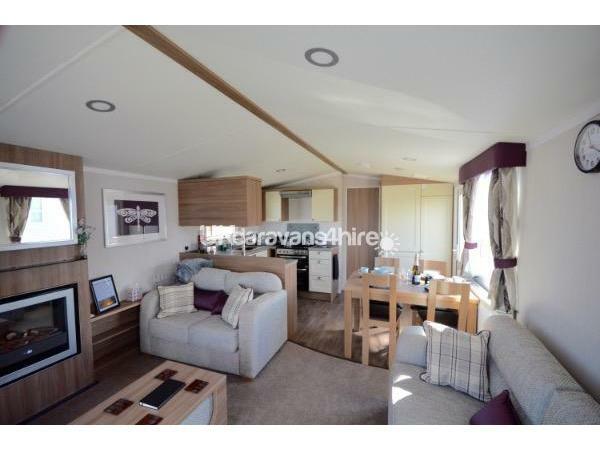 This spacious, open plan area has a modern but homely feel, with two luxurious sofa's, one of which incorporating a pull out double sofa-bed, free standing coffee table, contemporary electric fire, 32" flat screen TV, USB & HDMI with DVD player and a Bluetooth speaker system. French doors leading to the veranda. The stylish, well-equipped kitchen contains everything you should need and comprises a full sized gas oven and 4 burner hob, full sized integrated fridge-freezer, microwave, kettle and toaster - we even provide your tea towels! 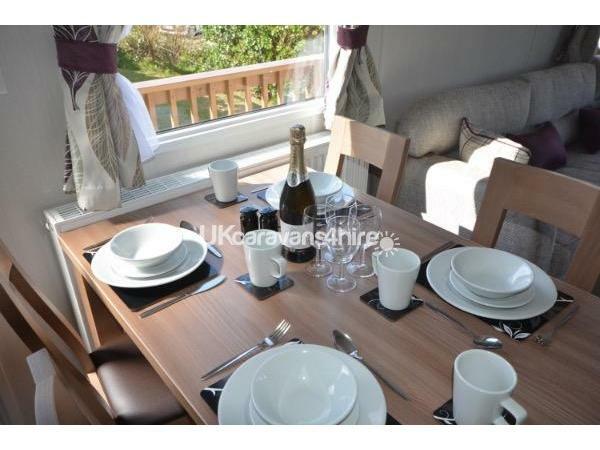 There is a free standing dining room table and six dining room chairs. A double bed, complete with pillows, duvet and even Egyptian cotton bed linen, ensures you have everything you need for a perfect night's sleep. 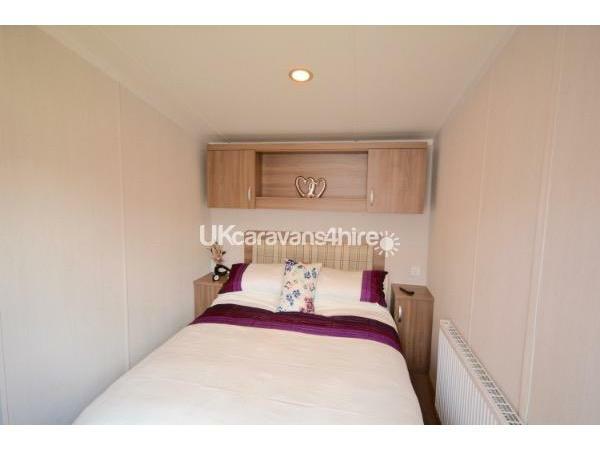 You will have plenty of storage too with gorgeous fitted wardrobes and drawers as well as a vanity dressing table, flat screen TV and hairdryer. 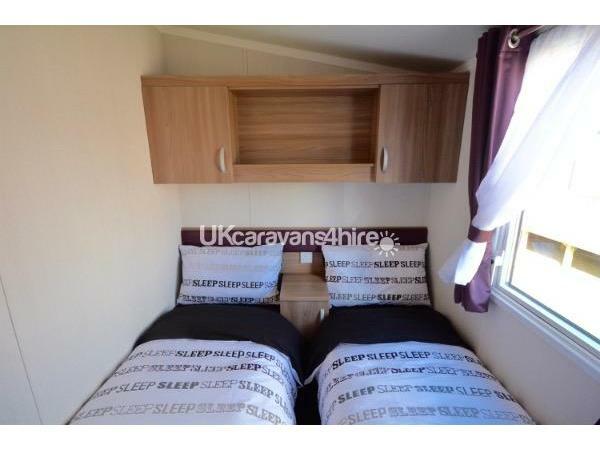 Both bedrooms have two single beds, complete with pillows, duvets and all bed linen. The beds can be pushed together to make another double. The bathroom contains a large shower, wash basin and WC. From the glorious decking you can enjoy a glass of wine or simply watch the world go by. 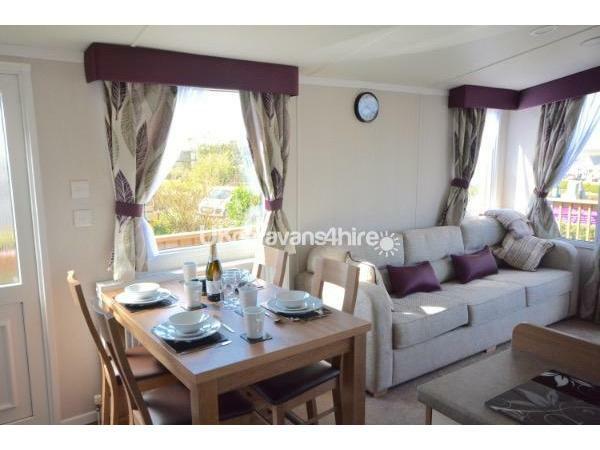 We stayed in 5 Dunes view for a mid-week break; nice modern caravan located in the centre of the holiday park with large decked area and views of the sand dunes and just a few minutes’ walk to the lovely sea views. Customer service was great, Paul contacted us to discuss our requirements and the booking process was efficient. When we arrived at the caravan, beds were made up and the were some thoughtful welcome gifts. 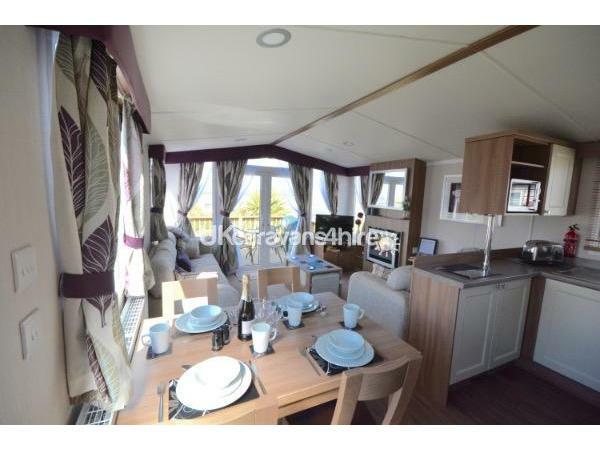 Would recommend this caravan as a great base for exploring the North coast of Cornwall. We are delighted you enjoyed your stay and look forward to welcoming you back in the future. 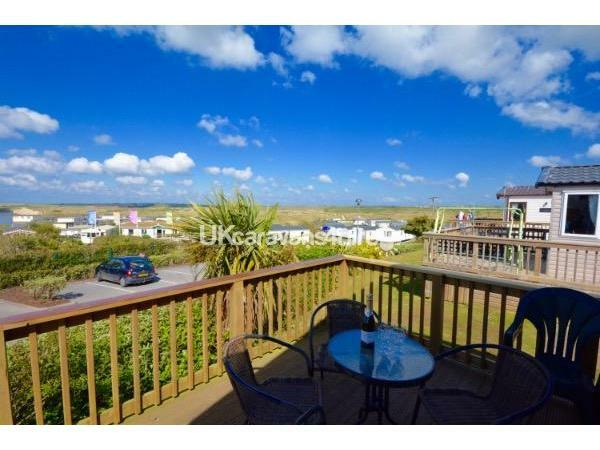 We've just returned from the best short week at Perran Sands, where we stayed at 5, Dunes View. 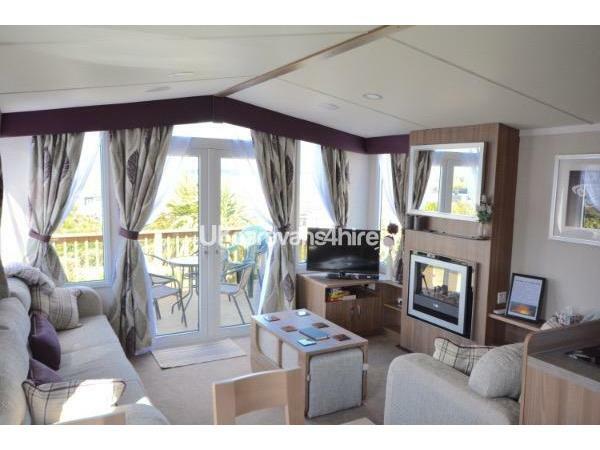 The caravan was spotless and the owners had thought of everything to provide you with a home from home. The veranda was excellent for us as if had a gate and our dogs could lay outside without us needing to worry about them. 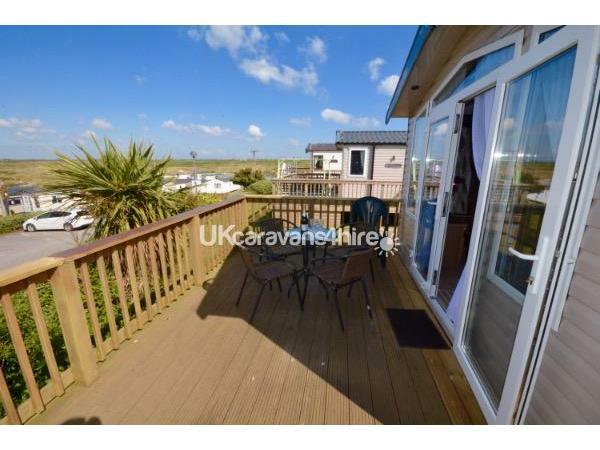 The caravan is in a great location next to the complex and near to the entrance. 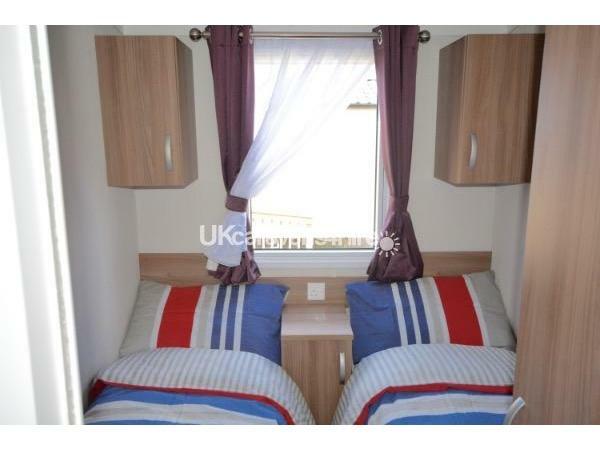 The master bedroom has an ensuite wc, tv and it has enough space for a travel cot which was ideal! Loved this holiday and the caravan was a massive contributor to our amazing time at Perran Sands. We hope to return next year!